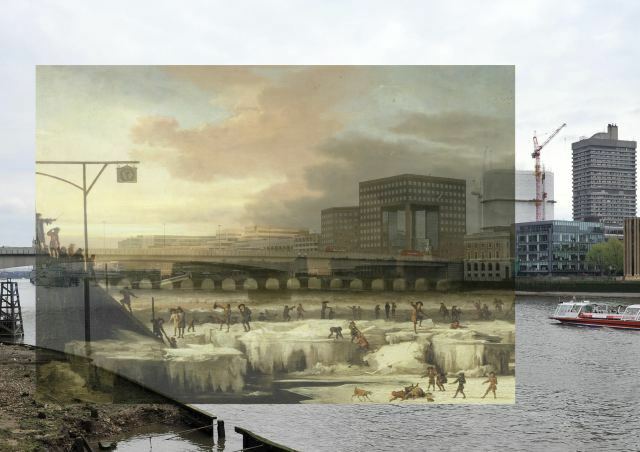 A frost fair in front of London bridge, old and new. 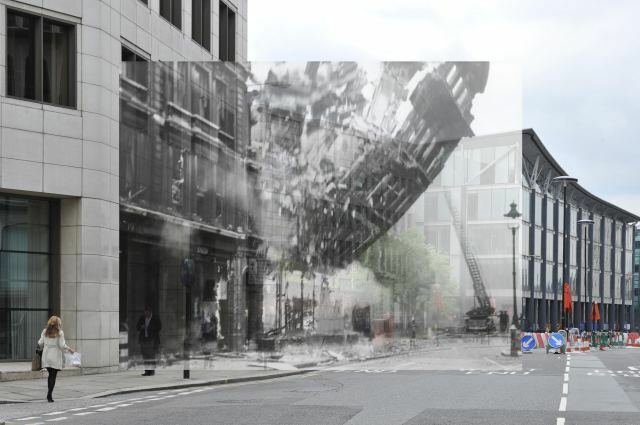 A Blitz-bombed building collapses onto modern Queen Victoria Street. 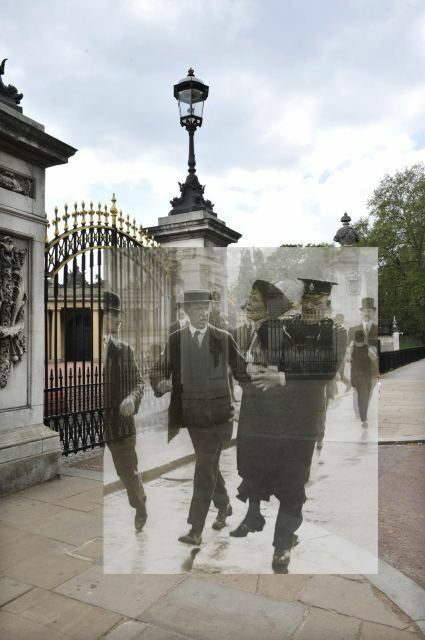 Mrs Pankhurst in a spot of bother outside Buckingham Palace. All change in New Change. 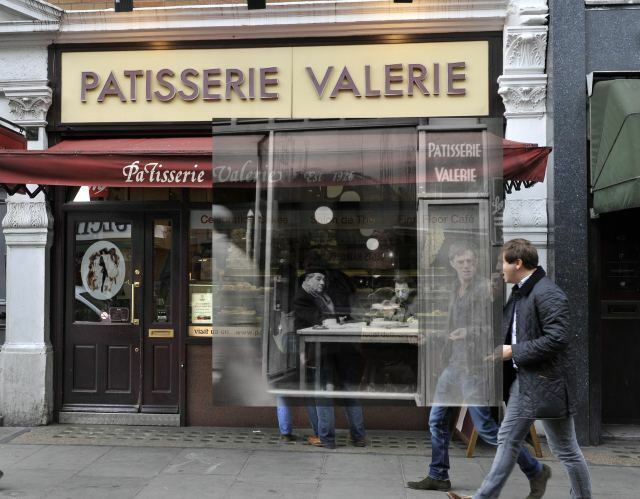 Patisserie Valerie on Old Compton Street. 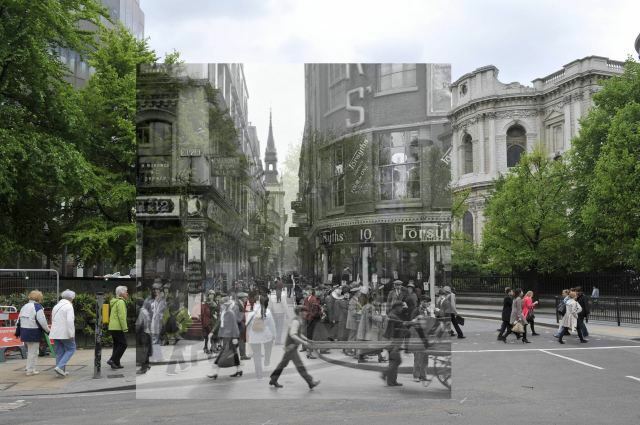 Not content with an imminent £20 million gallery revamp, the Museum of London just released its first iPhone app. The free application, known as StreetMuseum, places hundreds of images from the museum's extensive archive onto a Google map for your browsing pleasure. Better yet, the app taps into the iPhone's GPS capabilities to locate images of nearby locations. When you hold your phone up in the right location, the archive image will superimpose on your camera view (or that's the way we read it - we're still pootling around town with iPhone version 1.0, which doesn't support such trickery).Each image is supported with source information and a brief description. 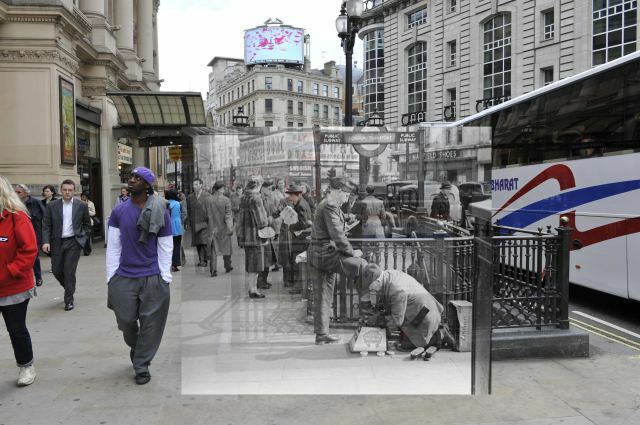 StreetMuseum is available now from the iTunes app store, free of charge.